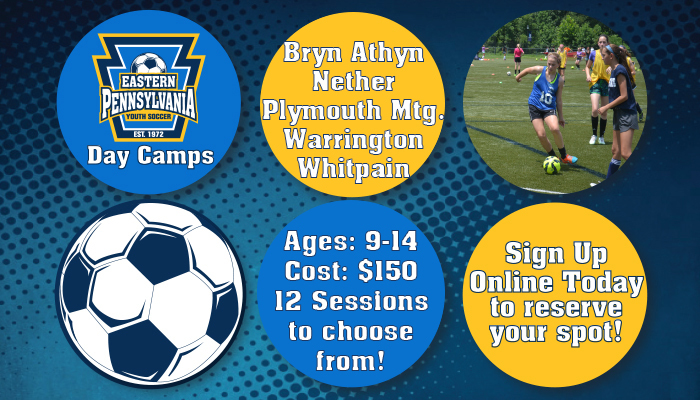 Each summer, Eastern Pennsylvania Youth Soccer runs day camps at locations throughout the state association to offer supplemental training to young soccer players. We'll be at five different locations this summer, with multiple sessions to choose from. Click "Register" and then choose your preferred session at the sign-up screen. Contact camps@epysa.org with any questions.